I know that Valentine's Day is still a month away, but I just couldn't help myself this weekend... this DIY was too easy and cute to pass up (and hey, there is something to be said for a DIY that you can start and finish in an hour - I'm all about efficiency!). 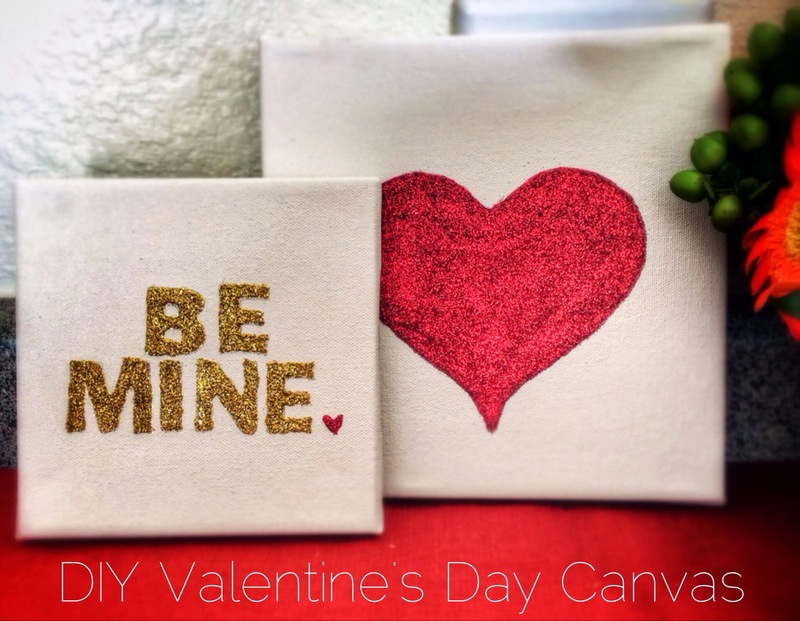 I've never been one to decorate much for Valentine's Day, other than a bowl or two of candy sitting out, but this simple and fun canvas (who doesn't love glitter) is easy to pull out and put away (no need for a Christmas style clean-up!). 2. 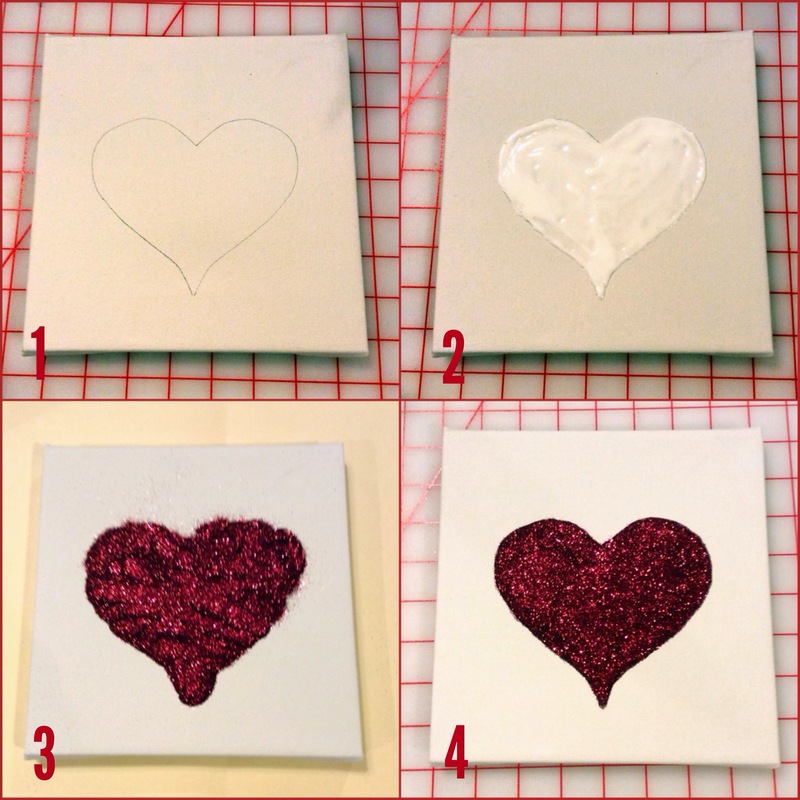 Using Tacky glue, fill in the areas that you want to be covered with glitter. I found that it was easiest to draw an outline of the shape using the glue bottle and then fill in the middle of the shape with a toothpick. 3. Pour the glitter over the glued area and then shake off the excess glitter (I shook my glitter onto a piece of a paper so that I could pour it back into the bottle). 4. Clean up the edge of the design with a toothpick (I also used tape to remove the glitter that was stuck to the unglued areas of the canvas). Finish by spraying with aerosol hairspray to set the glitter to prevent making a continued mess. Ohhh this looks easy and turned out so nice! I'm all about efficiency as well ;) I've never decorated for Valentine's day but you may have just made me take the plunge haha. Such a cute idea - I've never really been in to decorating for the little holiday's but this would be such a great gift idea! Love this! I so need to do this to put in our dining room! Love it, seems very easy too! !